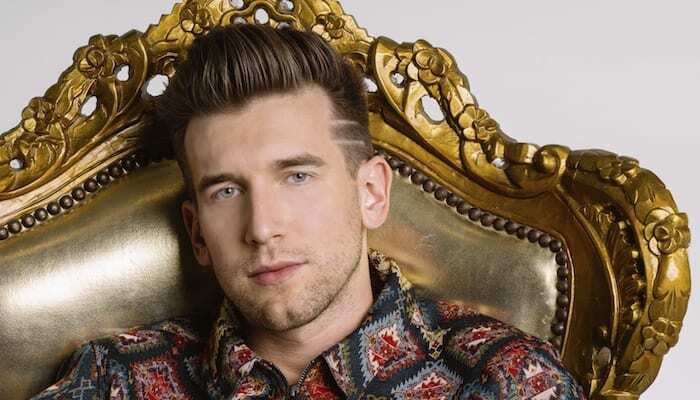 Say “good morning” to Max Frost, the rising artist delivering hard truths with modern pop. twenty one pilots fans rejoiced when the band announced their North American Bandito tour in July. Last month, the duo revealed the highly anticipated tour will include opening slots by synth sensation Awolnation and rising pop artist Max Frost. Frost is a 26-year-old Texas-bred multi-instrumentalist who admits he doesn’t come from a musical family. His initial influences derived from his mother’s soul music that played in the house. In his early years, he recalls hearing Aretha Franklin and Wilson Pickett before venturing to classic rock stars such as the Beatles and the Rolling Stones. Navigating adolescence can be a challenge, but this was when Frost found himself musically. Classic rock and soul fueled his aspiration to pursue modern pop music. 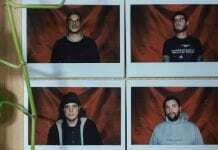 Frost layers catchy hooks and chords with deep, substantive lyrics. Frost proves that catchiness and seriousness are not mutually exclusive in his hit single “Adderall,” which focuses on the drug and those who take it. He notes that he grew up around people who were prescribed it and took those pills in high school and college. “From my own perspective, I just thought it was a bit of a bizarre thing that kids as young as 8 years old were being given a version of methamphetamine and a pill to make them focus on school work,” he says. Frost’s debut album Gold Rush comprises 10 soul-driven tracks. After years of traveling, touring and creating, he still didn’t make songs that fully resonated with him, so he moved from Austin to L.A. There, he got a much-needed fresh start on the West Coast, hence the album’s name. “The album all began as me knowing that I had to restart myself creatively in my life,” he says. The move also resulted in Fitz And The Tantrums becoming his mentors as Frost started from scratch. 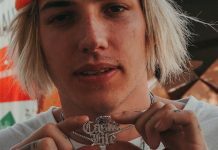 In fact, Frost was so deeply inspired by his new life in L.A. that he wrote “Good Morning.” This eclectic, bluesy single has more than 5 million Spotify streams and was featured in a Bubly sparkling water ad. 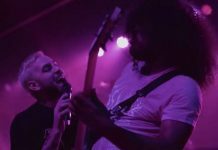 After three years of not being able to find the perfect fit, Frost created an album in one year with his new experiences and assistance from Fitz frontman Michael Fitzpatrick. Frost embraced the once-in-a-lifetime opportunity and canceled his own headlining tour to join the Bandito tour. Frost first met Dun at the Grammys where twenty one pilots iconically accepted their award pantsless, and Joseph later called Frost directly to welcome him aboard the tour. “I’ve never had anyone call before, which I thought was cool and classy of him,” he says. With the Bandito tour only days away from kickoff, Frost is already thankful for the fans who’ve bought tickets and are coming out in support of all the musicians. He even covered one of their tracks to celebrate. You check out Gold Rush here and catch Frost on the first leg of the Bandito tour this fall. Check out a the first batch of dates below, and see Frost’s full touring schedule here.